It comes with 5 good sails. 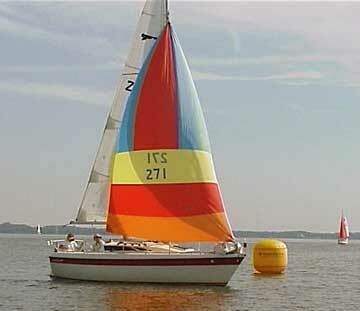 Main, Jib, Jenoa, Drifter and a full Spinnaker. The trailer is a 4,000 pound capacity Shoreline tandem roller trailer with brakes and is in good condition. ETAP is a high quality performance boat. Double hull construction makes her UNSINKABLE! 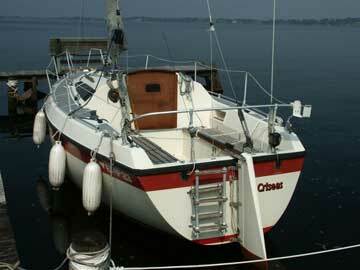 The boat is designed for the North Sea & can handle a lot of water. It points beautifully. 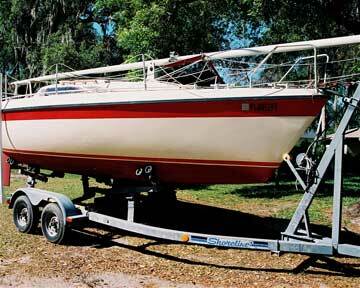 Two days shy of a month and the boat has been sold. Thank you! 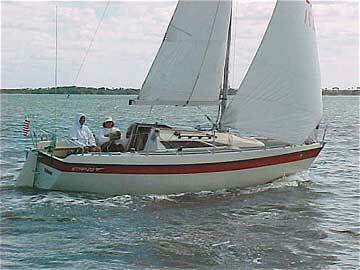 A gentleman from Orlando is the new owner and he plans to sail in the Gulf and the Bahamas. I also had prospect from Miami, Wayne Carter, who had been a student in your sailing program. 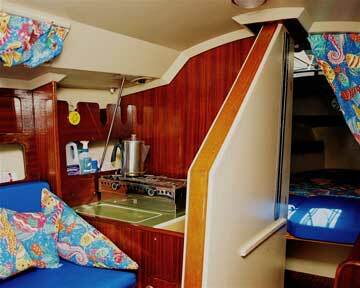 Thank you again for your fantastic web site for sailors. At the time of sale their were three other very serious prospects, two from Canada.